P.S. 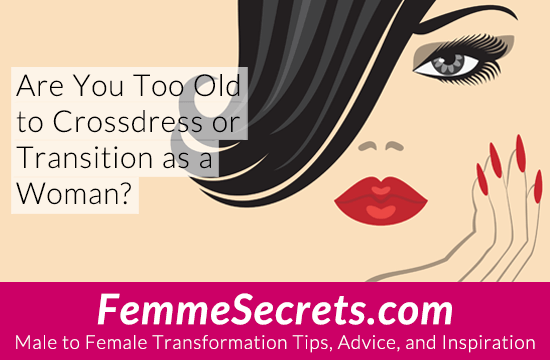 Want to feel more confident about expressing yourself as a woman – at any age? Hypnosis and guided meditation can help. 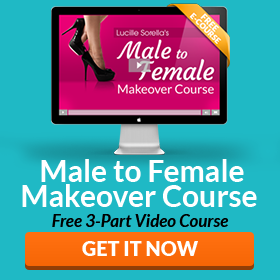 Click here to try my FREE “Unleash Your Inner Woman” feminization hypnosis MP3! I’ve secretly cross dressed since I was 12…I’m now 57, and want to make up for so many “lost” years. I’ll probably never transition, but I’m going to go “all-out femme” as often as I can! I have been crossdressing since I was 14, I am now 65 and have just started HRT. My granddaughter who is 27 told me the other day: “You sure look much younger as a female than when you are in male clothes!” I thought that was a great compliment. I do feel younger crossdressed. Best wishes to all the girls. But I recomment to train your voice. I am not happy if a woman talks to me in a male voice.